Han Crielaard (Designer-Han) is a seasonal builder who uses to present us a new large model of his creation, roughly every year. 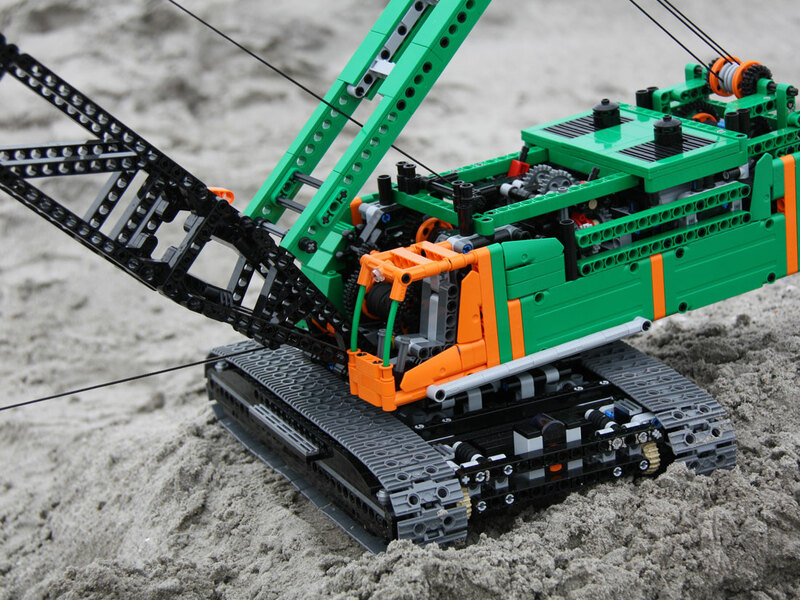 2014 brings us a Dragline Crawler Crane, made in a very nice and unusual color scheme (green + orange). It has a very realistic appearance, either from from aesthetic or functions point of view. A large number of PF elements were used in this model to assure all the functions are motorized and remotely controlled. Among all the features more or less expected to be present in such kind of machine, the one that most impressed me was the "Free Fall" mechanism whereof the drum winches are temporary released from their motors.which was the main requirement for this model to act as a real Dragline (you can see it in action from the video above). For more detailed explanations about the model, its functions and development phases, you may read it all, at Han's website. And if you're eager for the usual building instructions prepared by Han, 1Q2015 doesn't seem too far!